Private collages will not show up in the gallery but you can still share it with your friends and family through Facebook, Twitter, email, etc. What do you mean it’s private? How can I share it with my friends if its private? 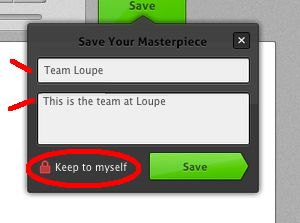 It means that your collage will not show up in the Loupe Gallery but the link to your collage is still active. 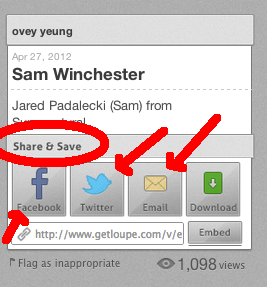 If you do not advertise the link, no one will ever see the collage. The only way someone will see your collage is if you share your collage link with them.